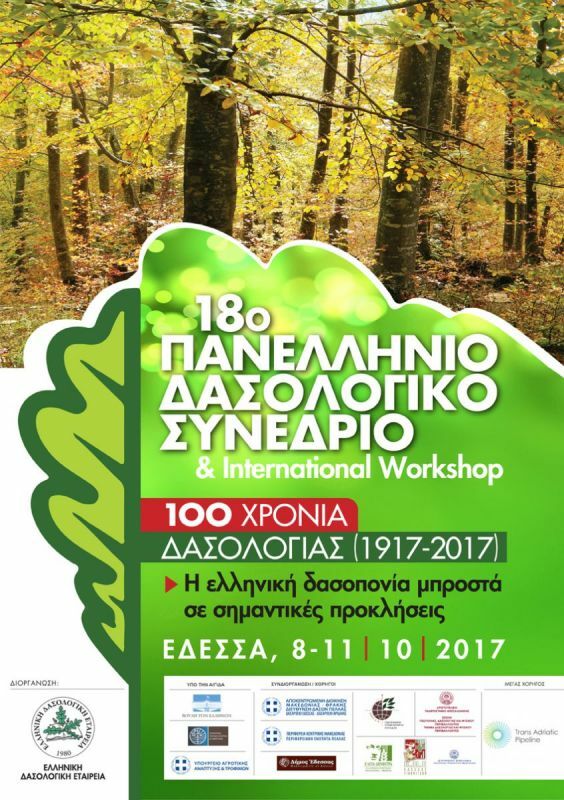 With the topic “Hellenic Forestry facing major challenges: sustainable forest management, forest cadastre, environmental technologies-networking and nature protection”, the 18th Panhellenic Forestry Congress & International Workshop will be held at Edessa, Greece (October 8-11). 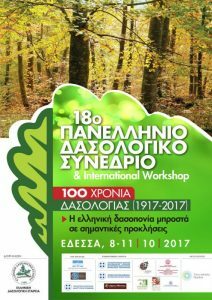 The Hellenic Forestry Society organizes the congress. The International Workshop «Information Technology, Sustainable Development, Scientific Network & Nature Protection» will run in parallel with the congress. During the congress, almost 160 oral presentations have been scheduled along with 47 posters. Two very interesting round tables have also been scheduled; “A big step ahead: Forests and forests’ chain of value for sustainable development. Proposals for a new Strategy” and “The role of Scientific Networks in Nature Protection”. Forestry congresses are organised every two years and are major events mainly, but not exclusively, for the Greek forest sector. Several scientists and professionals use to attend working in forest management, constructions, wood trade and processing, nature conservation, range management etc.The 18th Panhellenic Forestry Conference & International Workshop will be held at Watermills, a traditional village area at Varosi & Open Air Water Museum in the town of Edessa, near Thessaloniki. The conference is under the auspices of the Hellenic Parliament, the Ministry of Environment and Energy and the Ministry of Rural Development and Food.